I was looking for a way to make Christmas Eve full of fun and cheer. A way to get everything done that we wanted to fit in. 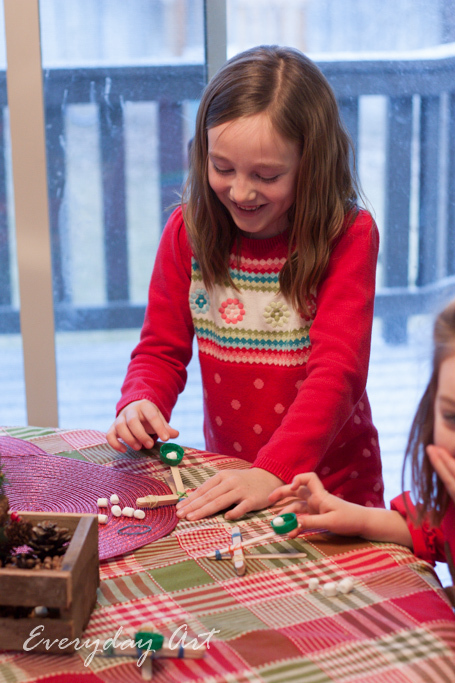 A way to make it Christmas-y not just any-old-day fun (no swimming or bowling trips!). 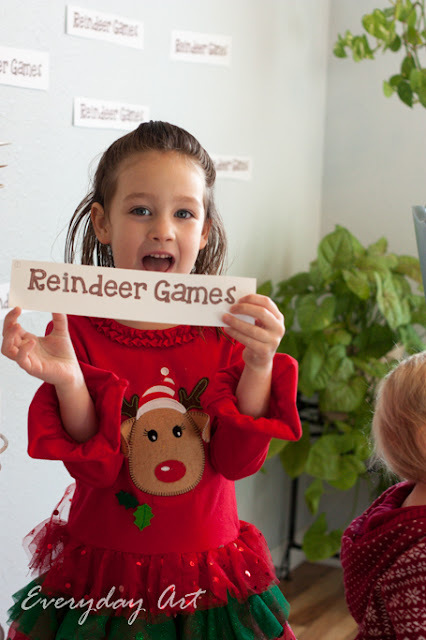 I printed out a lot of strips of paper that said "Reindeer Games," cut them out, and then on the back wrote various activities. 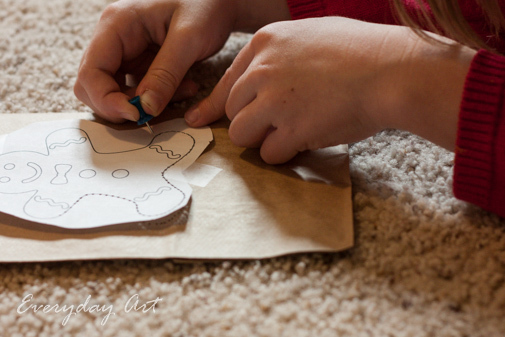 Then all day long, we would pull off a strip and see what fun activity it would suggest for us. Some activities were extravagant, but some were simple. Sometimes the strip would say "read a Christmas Story," or "sing Christmas songs." Sometimes the Reindeer was "take a bath!" One of the more extravagant activities we did was make Christmas luminaries. 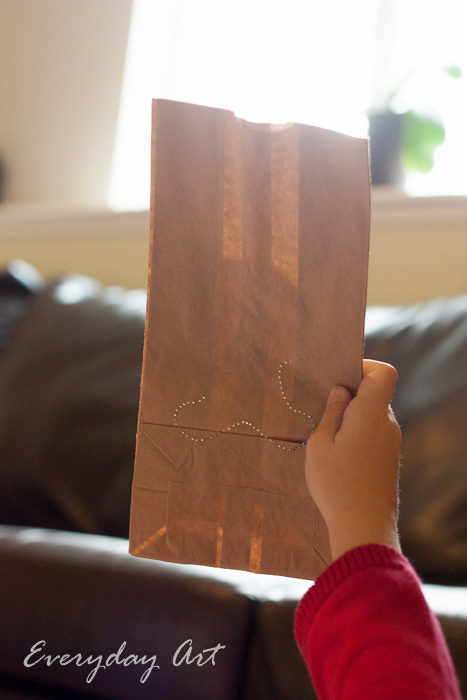 I printed out simple Christmas images, cut them out roughly, and then taped them to brown paper bags. To make the wholes, we used thumb tacks to go around the outline of the image. Here you can see the light shining through the holes. 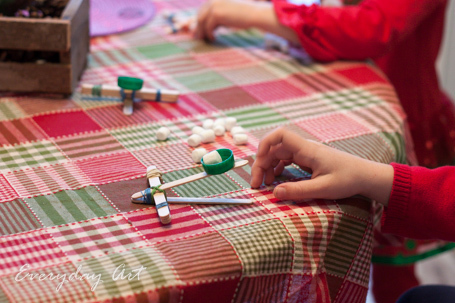 Probably everyone's favorite activity was making marshmallow catapults! So fun!!! Now I am planning our Reindeer Games for this year. 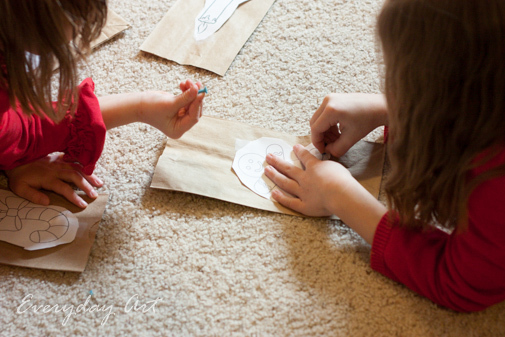 It will include the classics like singing songs and coloring a Christmas picture, but I'm also looking into lots of fun minute-to-win-it games.